TLC now offers a way to protect your family from mosquitoes and other pests. 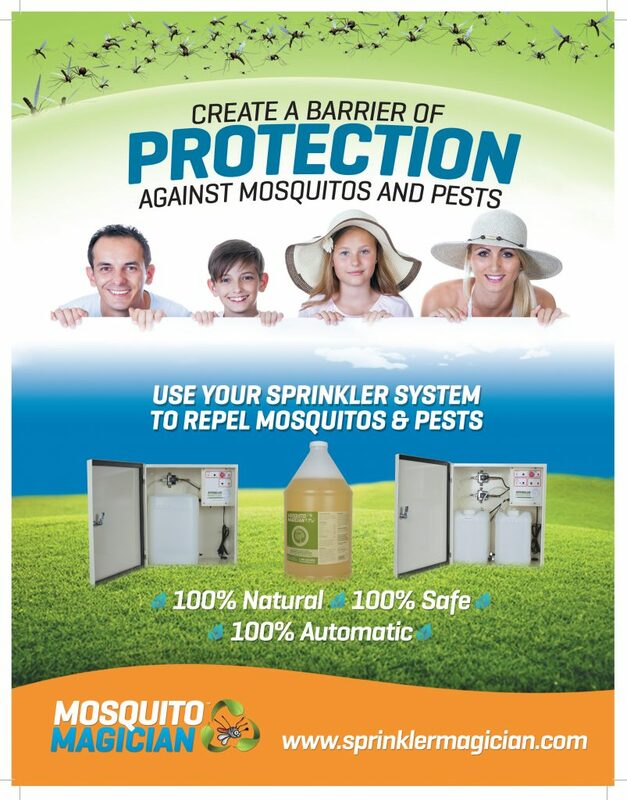 Sprinkler Magician is a 100% natural, 100% safe, and 100% automatic system that hooks up to your new or existing sprinklers. It distributes an organic concentrate across your yard at appropriate intervals. It can be set to run preset schedules each week or “On Demand” with a touch of a button. The system runs separate from your regular watering cycles so the concentrate isn’t washed away. In addition to repelling mosquitoes, it also repels gnats, no-see-ums, fleas, ticks, spiders, flies, and many other biting insects, yet it’s safe for kids and pets. TLC is an authorized installer for Sprinkler Magician.